Android has risen to the canopy of success with the help of Google and lots of apps developers who filled the Play store with millions of useful apps. But Windows Phone is attracting new users with its user interface and simplicity. The Nokia Lumia 920 has already set new records and the other Windows 8 Phones are doing great. 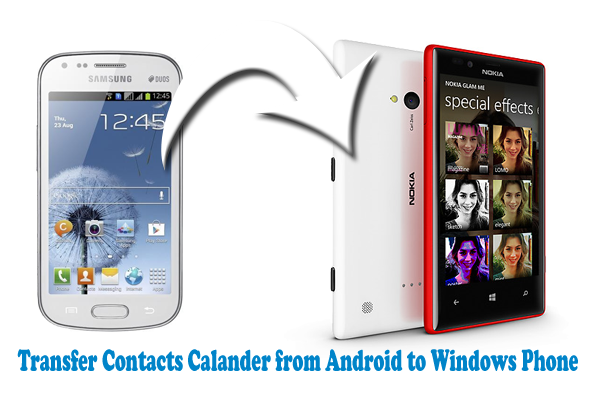 If you are one of the users who has left Android and entered into the Windows Phone World, then we are going to provide you an easy way to migrate your contacts from Android to your new Windows Phone. Well the old way to transfer .vcf or contact cards will not work on new Windows Phones. You will need a .CSV file, so that Windows can import the contact list with all the details. There is a simple app for Android to create .csv file for all of your contacts at one tap. You can download and install contacts CSV import for Android. Just open the app and tap export, you will be asked to select the fields that need to be exported. Select contacts and on the next screen you will be asked where you save the csv file, select your memory card. The app will process the export and create a .csv file of your contacts. We have another simple method if you have already synced your contacts to your Gmail Account. If you have your contacts backed up on Google account, then its lot easy and fast to get it synced to your new Windows Phone. On the Windows Phone just Go to Settings>> email + accounts. Now, select option to add an email account. You will get a list as shown below, just select Google for Gmail account. On the next screen key in your Google credentials. Android you will be asked about the sync settings, select the option “Email, contacts and Calender” and all the contacts will be synced to your Windows Phone. You are all done. We will be brining in more articles for new Windows Phone users stay tuned with us.